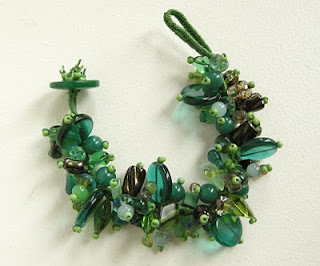 In honor of St. Patrick's Day, coming up soon, I created this green bracelet. 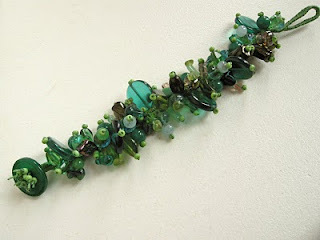 The beads are lots of different colors of green, with a few rose colored ones thrown in for some interest. I'm happy with how it turned out! Top of the morning to you. Lovely bracelet for a lassey to wear.